They said that Filipinos sell only Non-clumping conventional litter , no clumping litter. But we don't know if it is right, we will make sure it. I will report it as I get the new infomations about cat litter of Manila. Clumping litter can forms a solid mass when wet. We only clean clumps in a litter box. 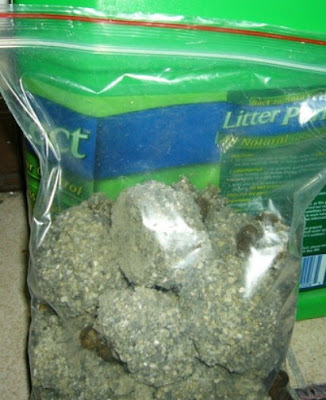 Non-clumping conventional litter that is made by crack a rock in Philippines is cleaner than normal sand, but there is no deodorization for cats' urine and faeces. It can't absorb urine and urine will fall down the bottom of a box like compost. When cleaning it , we almost give up all litter of the box.